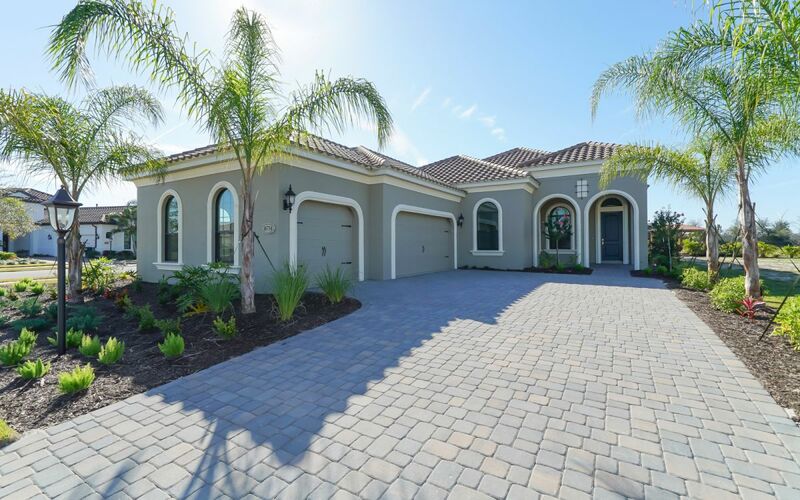 The Montecito by Neal Signature Homes is stylish and comfortable. The open-concept center of the home design holds the great room with coffered ceilings, dining area, well-appointed Graceful Montecito by Neal Signature Homes is stylish and comfortable.. The open-concept center of the home design holds the great room with optional coffered ceiling, dining area, well-appointed kitchen with expansive island, and breakfast nook. A separate formal dining room can be converted into a den or fourth bedroom instead. The master suite includes a large bedroom with sitting area by an elegant bay window, two walk-in closets and master bath with dual sink vanities, private water closet, roomy shower and optional soaking tub. A spacious covered lanai with optional rough-in for an outdoor kitchen offers a comfortable spot for relaxing or entertaining. The home also includes a private pool & spa.